If you want to know How to improve your Online Store then you are at the right place. Below, we have mentioned out the steps taken by us to create successful Online Store. But before starting with an article, let us first have a brief idea about our online store ‘EmbroideryShristi‘. 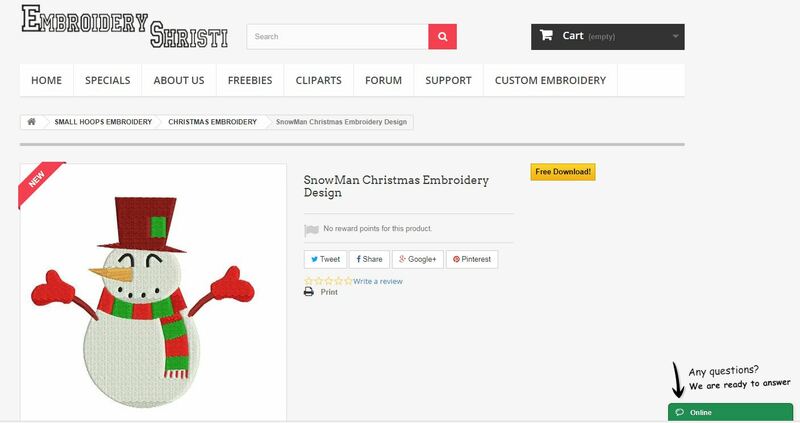 It is a store built on the Prestashop Platform and selling downloadable Machine Embroidery Designs online. Today, it has more than 9000 customers and out of which 62% customers are from the countries like USA, UK etc. You will be also surprised to know that, we had not spent a single penny on its advertisement cost. In the below video tutorial you will find the first initial look at the website. Being an Indian Company with zero experience, initially, it was very difficult to grab the market share. Though we were selling the designs at the cheapest rates, we were getting very few orders per month. The situation got changed when we made the following nine changes to our store. Now, we are getting a very good number of orders daily. This was the biggest hurdle in the success of our online store.By default, the checkout process includes a number of steps.Customers need to step through all these steps before placing an order. This entire process was time-consuming and requires lots of personal data from the customer side. So, we changed this process. We introduce an option to download the design directly without any registration and login. This option was introduced for the free designs only. For paid designs, we moved out to Single Page Checkout to reduce time. 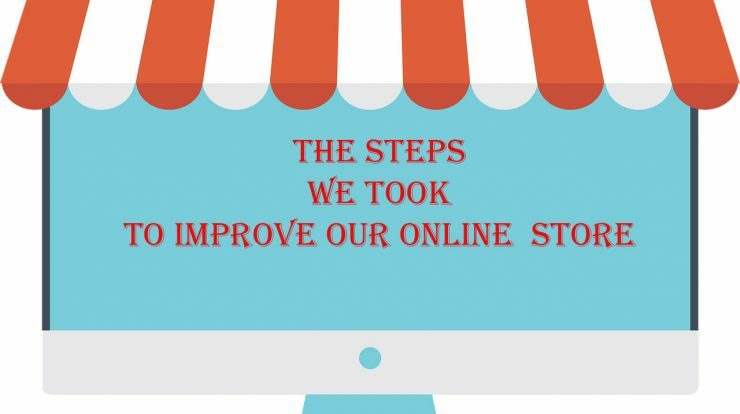 Retaining customers was an another biggest hurdle in creating a successful online store. Our returning customers were less than 5%. We resolved this problem by building a great email list. Now, on a weekly basis, we share an email with all our subscribed customers and the result is awesome. It helps us to grow our business. Whenever we share an email with our subscribed customers, we surely get a Paid Order and an AdSense earning of more than 10$ on that day. Since we are getting customers from across the world, due to change in time the earnings are stretches for two continuous days. Yes, as mentioned above in the article, we are not spending any money in sending these emails. There are many free email newsletter softwares available in the online market. To know more about these softwares, refer the below article. In the initial period, we are getting very less number of visitors to our website. So, we started giving free giveaways sample to our customers. This giveaway gift has dual benefits. It gives an opportunities to showcase product or services. We started sending email newsletter consisting giveaways gifts to your customers. Our customer gave a try to our free samples and visit back for the paid order. 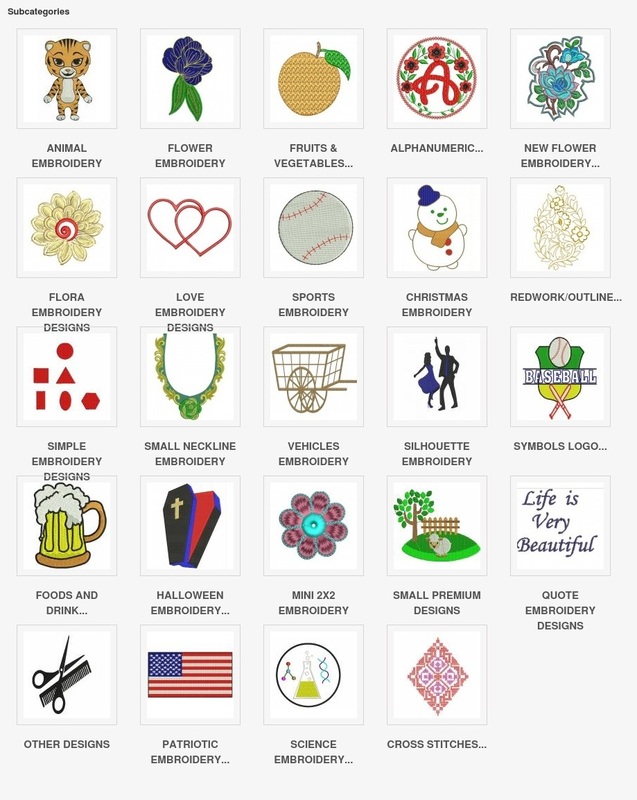 We are selling two types of Embroidery Designs. 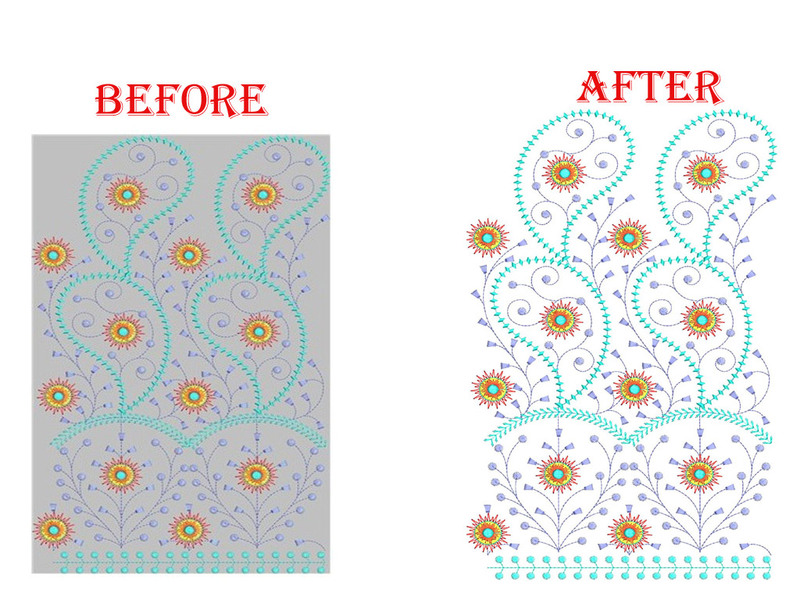 First, large embroidery design for commercial customers and Second, small embroidery design for home-based customers. Our customers were finding difficulty in selecting the correct designs from our website. We resolved this problem, by simplifying the Navigation Menu and created a separate category page for Small Hoops Machine Embroidery Holder. Improved Customer Service is another reason for creating a successful online store. 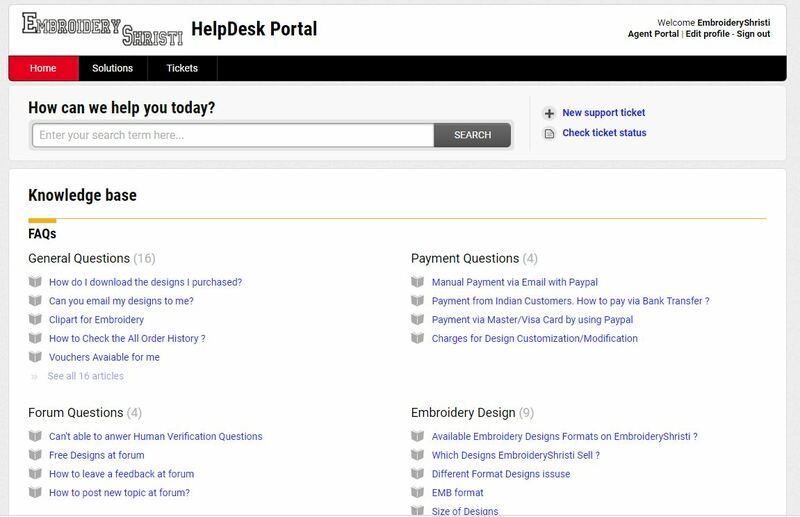 We created our own support id and moved to helpdesk website for better services. We always ensured that our customer gets fully satisfied before leaving our website. If there was any confusion then, we giveaway the free gifts to them. We have also enabled the Live Support Software on our website. Now, our customers can contact us directly and immediately. We started collecting products reviews from our customers. 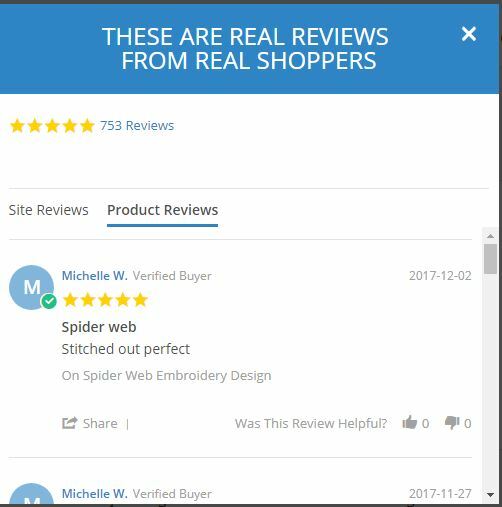 Real Review from Real Shoppers helps us to build confidence in our customers. Next, we started providing a free coupon for 20% for writing and sharing product reviews. Of course, these coupons were provided to Real Customers only. After making above changes on the website, we also did some changes on the Product Page. Below, you will find the list of changes made on the Product Page to create a successful online store. Initially, when we started an online store, the product image was not too good. The images were too blur to see and it does not represent the product also. So, we changed the way to export Images. Instead of using bulk option, we started taking images individually. Of course, it increased the time for uploading the design but on the contrary side, it improved the quality a lot. Below you will find the Before and After Image of the same product from our website. Our sales got doubled after improving the image quality of the design uploaded. We added a Social Sharing option on the product page to increase our social presence. Nowadays, Social Sharing is a prerequisite for creating a successful store. To provide more transparency, we started adding more details on the product page. We started uploading detailed PDF file along with the product. This detailed PDF file includes all the information related to the product. Now your turn. If you had implemented any other way to create a successful store then please share with us. It will be great to hear from you. Further, feel free to contact us if you face any problem in creating a successful online store. We will feel happy to help you.